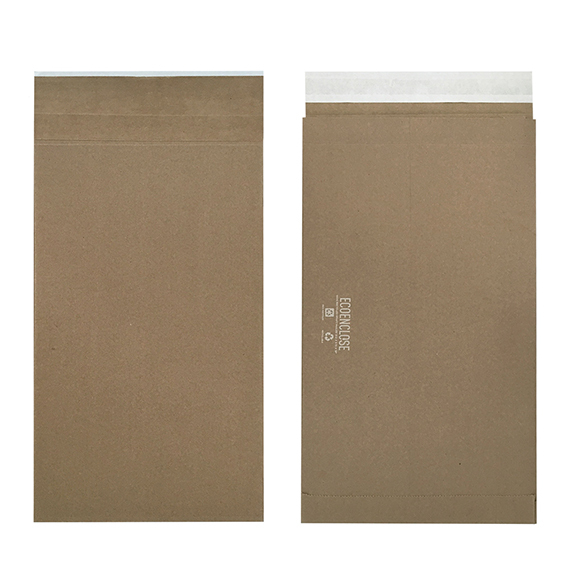 EcoEnclose 100% Recycled Kraft Mailers are lightweight, affordable, and naturally biodegradable. The robust earthy appeal of these mailers will most definitely garner recognition for your planet-friendly operations and extra eco-efforts! EcoEnclose 100% Recycled Kraft Mailers justly demand boasting rights with their whopping 90% post-consumer content. Their DNA is comprised of tenacious, yet lightweight 105# kraft paper -- proving themselves true competitors to the plastic mailer in durability. Not only is this mailer constructed entirely from recovered trash, but once it has made its journey and served its purpose, EcoEnclose 100% Recycled Kraft Mailers can easily be redeposited back into the paper recycling stream. If you're ordering quantities of 500 or units or more, we can custom brand this kraft mailer! For e-commerce brands, the shipped package represents the most direct touch point with a customer. Branded packaging creates a strong first impression, encourages customer loyalty, and repeat sales. Not to mention, a whopping 83 percent of consumers would share an image of a delivery via social media if it arrived in unique, branded packaging.